Bacterial resistance to antibiotics poses a threat to the global public health, being already responsible for thousands of annual deaths globally and expected to kill more than cancer by 2050 if no solution is encountered. The development of new resistance-free antibiotics has proven to be a challenge for pharmaceutical companies due to the rapid acquisition of resistance by bacteria. Nucleic Acid Mimics (NAMs) may be the answer to this problem, since they can be designed to recognize and block key bacterial genes. Therefore, depending on the target genes, NAMs can be used to kill bacteria or to restore bacterial susceptibility to antibiotics. This novel strategy provides a potentially endless source of active antibacterials; even if the bacteria develops resistance the NAMs can be easily redesigned to become effective again. Differently to unmodified DNA and RNA oligonucleotides, NAMs such as Locked Nucleic Acid (LNA) are resistant to degradation and present improved affinity towards the bacterial targets, provided they can reach their target in the bacterial cytosol. The penetration of NAMs is, however, limited by the bacterial envelope composed of several stringent layers that surround the bacterial cytosol. As a result, delivery strategies are needed to ensure that NAMs cross the bacterial envelope. Nanoparticles have been widely investigated for drug delivery in animal cells, but only recently started to be explored for bacteria. The DelNAM project aims to develop an innovative solution to fight and solve the crisis of bacterial resistance to antibiotics, through the delivery of NAMs into bacteria. Suitable carriers will be developed for the transport of NAMs and their efficacy studied and modelled, according to the type of NAM, carrier, bacteria and site of infection. This mission can only be accomplished with the close collaboration of leading institutions in the multidisciplinary fields that comprise the DelNAM approach. This twinning project joins three top research groups specialized in complementary areas, bringing expertise in Biotechnology, Microbiology, Nanotechnology, Nanomedicine, Analytic and Organic Chemistry Biological Engineering and Bioinformatics. Nucleic Acid Mimics (NAMs) may be the answer to this problem, since they can be designed to recognize and block key bacterial genes. Therefore, depending on the target genes, NAMs can be used to kill bacteria or to restore bacterial susceptibility to antibiotics. This novel strategy provides a potentially endless source of active antibacterials; even if the bacteria develops resistance the NAMs can be easily redesigned to become effective again. Differently to unmodified DNA and RNA oligonucleotides, NAMs such as Locked Nucleic Acid (LNA) are resistant to degradation and present improved affinity towards the bacterial targets, provided they can reach their target in the bacterial cytosol. The penetration of NAMs is, however, limited by the bacterial envelope composed of several stringent layers that surrounds the bacterial cytosol. As a result, delivery strategies are needed to ensure that NAMs cross the bacterial envelope. Nanoparticles have been widely investigated for drug delivery in animal cells, but only recently started to be explored for bacteria. The DelNAM project aims to develop an innovative solution to fight and solve the crisis of bacterial resistance to antibiotics, through the delivery of NAMs into bacteria. Suitable carriers will be developed for the delivery of NAMs and the delivery efficacy studied and modelled, according to the type of NAM, carrier, bacteria and site of infection. Promote the development of a novel treatment approach based on the delivery of NAMs through nanocarriers into bacteria. 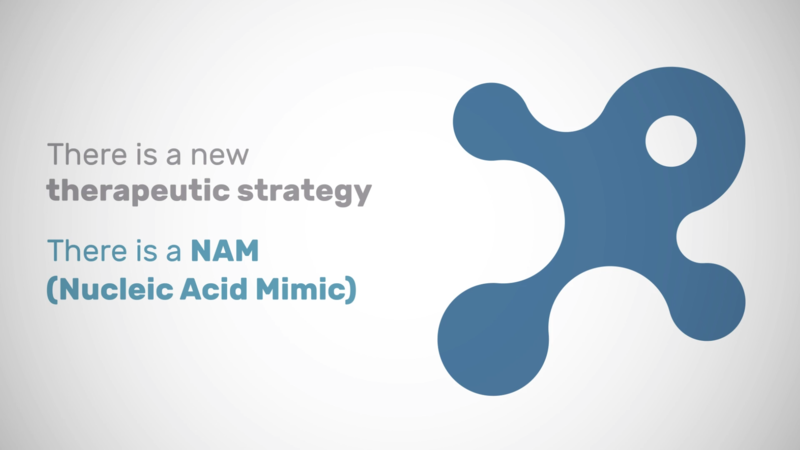 Position the consortium as leaders in the application of NAMs and nanocarriers to combat bacterial resistance to antibiotics. Train the Portuguese institution’s research staff in emergent technologies and interface science areas. Strengthen the global research area of delivery of NAMs into bacteria to solve the bacterial resistance to antibiotics. Increase the international impact of the Portuguese Institution’s research and innovation in the areas of NAMs and nanomedicine applied to microbiology. Foster knowledge exploitation and business investment in Portugal, in the field of novel antibacterial therapies.